May has gone by so fast, I am looking forward to summer. The kids have 3 weeks left of school so I can't sit back and relax just yet. 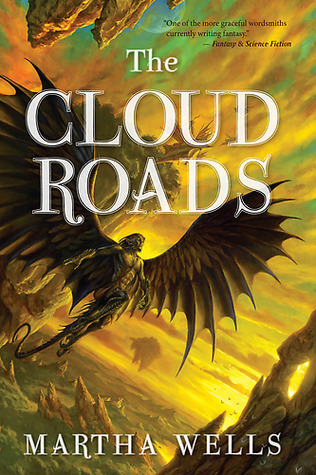 The cloud Roads and Demon King look fantastic! I hope you enjoy them, going to check them out myself. Have a wonderful week, Jennifer! Happy Reading! I hope the next 3 weeks go by smoothly for your family. :) Happy reading! 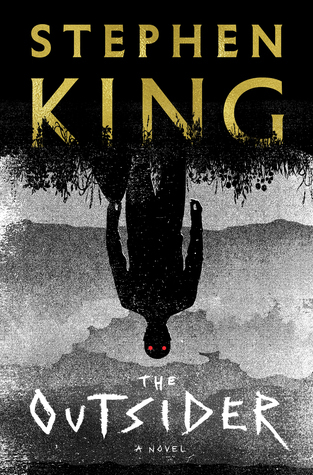 I love that King just keeps putting out awesome books. 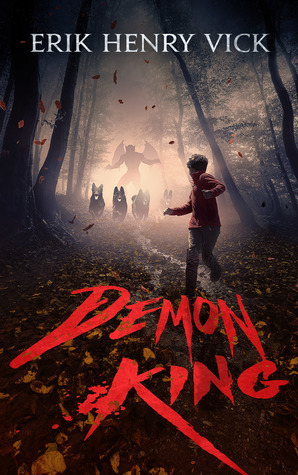 I’ve heard good things about this one. I look forward to your thoughts. I don't know how on earth he does what he does. I'm hoping to finish The Outsider tonight. I'm glad you are enjoying The Outsider. I'm waiting until Stormi gets a library copy so we can make it our buddy read. It's cool you got to meet some great authors and it looks like you grabbed some good books. I LOVE Seanan McGuire. I hope you love Every Heart a Doorway as much as I did. The second one was my fave and the third fell short for me (too much like Alice in Wonderland) but I'm hopeful about the next one. I am listening to the Outsider narrated by Will Patton and loving it. Glad to hear you are enjoying it too. Yay to the lazy days of summer. Enjoy! Nice! I'm in the middle of Finders Keepers as well, and Will Patton seems to be a good narrator. I definitely want to get the new Stephen King, I love his writing, and The Road to the Dark Tower looks interesting, am checking that out. When I read horror, I prefer Mr. King!! He is my favorite. I hope you are able to get a copy of The Outsiders. It is worth a read! I do so love summer. Looks like you have some great summer reading ahead. Enjoy your books and have a great week! I do have some great reads lined up. :) This has been a good reading year overall. Comicpalooza sounds like it was a lot of fun. And you got to meet James Marsters! How awesome is that?! I hope you enjoy all your new books. The Wells and McGuire books are ones I would like to read at some point. Have a great week! It was really great getting to meet James Marsters. :) Thanks! Comicpalooza sounds awesome. I'd love to meet Martha Wells after reading the first two Murderbots. Curious about the Cloud Roads too. Yay for summer! It was nice being able to congratulate Martha Wells on her Nebula win for All Systems Red. 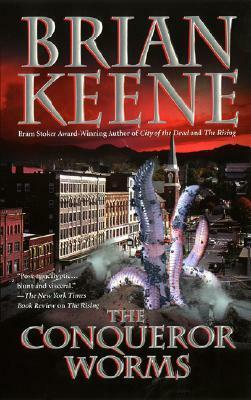 I really want to read some Brain Keene it's been years! Have a great week! With the exception of Pressure, it had been a long time since I had read Keene, too. The Conquerer Worms was a fun choice. I also watched James Marsters panel, and it was my favorite of the convention. I was so happy the audience was just as big of fans of the Dresden books as they were of Buffy! It was so great. I'm so looking forward to The Outsider! Unlike King's other books in recent years, which have been mixed with critics, this one seems to be garnering near universal praise and positive reviews. Wow! Lots of great books you have here! Glad you got to meet James Marsters! I would like to meet him someday! It sounds like you had a great time at the event. 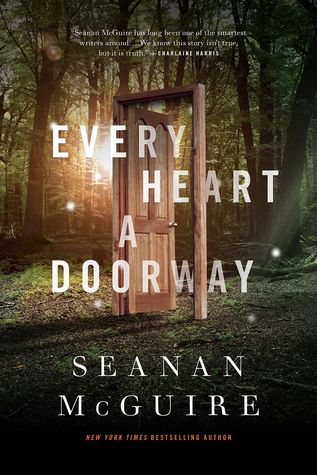 I hope you enjoy Every Heart a Doorway by Seanan McGuire - I've read this title (& enjoyed), although not yet progressed with the series. Happy reading & a lovely week to you! Thanks, Jade! 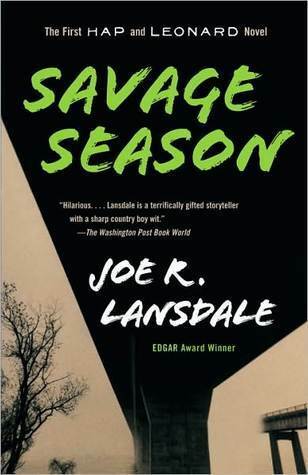 I'm looking forward to seeing what the McGuire series is all about. I'm expecting something quite unique/strange. It is definitely worth the read! You managed Sleeping Beauties, you can't put off The Outsider. LOL. School is out here too and I'm loving it for the most part! I really love the non-alarm clock part especially. I really need to read more Stephen King. I listened to A Good Marriage at the beginning of the year and it seriously creeped me out but I haven't tried any others. Have a great week! Comicpalooza sounds great. I follow Seanan McGuire on Twitter and would love to get a chance to meet her. Come see my week here. Happy reading! 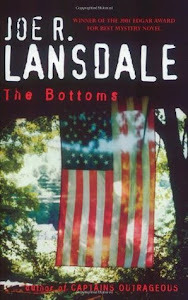 Isn't it great to have a fav author like Stephen King for you, and the book is out and you are into it. I really want to read the Seanan McGuire series. 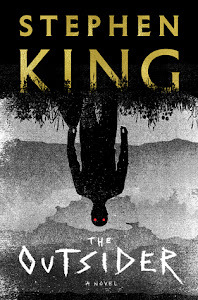 And definitely the King book!! I am so excited for Wyatt to be done with preschool for the year. I am ready to just enjoy summer days with him. I have missed him! Lol. Enjoy your week and summer time happenings! SPIKE! That's awesome! I love James Marsters. I'm jealous. Comicpalooza sounds fun. You got The Outsider! I’m envious. I need to get that one. I had mixed feelings about the Dark Tower books. Some of them are amazing, and some of them are really bad. Have a great week. Enjoy your new books! So jealous of your Comicpalooza visit! We're having a book event in October and I'm hoping to go. I haven't been to one of these gatherings since the late 90's and it scares me more than a little bit. All those people . . . And you met Spike! That must've been a highlight, for sure. Comicpalooza sounds fun, glad you enjoyed it! I hope you enjoy your new reads and that you had a great week! 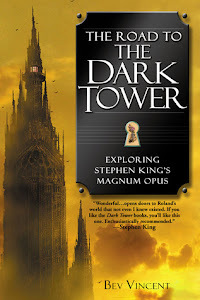 Haven't read any of these yet, but The Dark Tower series is on my list :) enjoy!